Why: We believe that farmers should be able to make a living from farming, that everyone deserves good food, and that food systems should be controlled by local communities and businesses – not by global agribusiness or giant supermarkets. 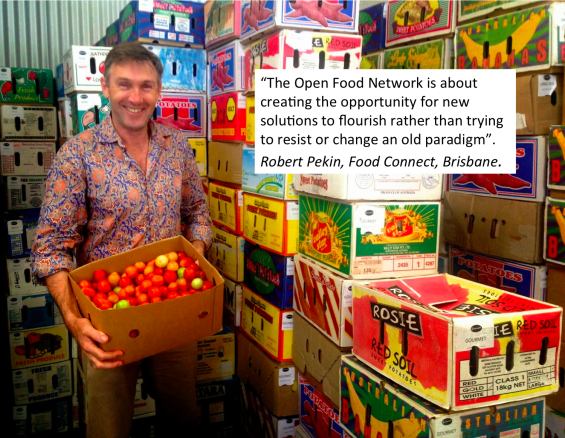 networks to create thriving food economies. When: Every day, family farms and local food businesses are going out of business all around us – right now. We need new options to connect and support them, and we need them right now. The first stage of our new online marketplace for local growers and eaters will launch in October! currently working closely with partners in UK, USA, India and Canada to get them up and running. This campaign supports all of us. goal - if we don't raise this much we don't get anything! $75 Participate in #openfarm day and come to our launch party! $500 Sponsor a local food hub in an area that needs them most. $200 Your own fully functional online store (with no hidden or future costs), from October 2014. $5,000 Promote your organisations and network by being one of our first groups - you’ll get your own 'Group' page, workshop and training, and online profiles for your member enterprises or stakeholders. "Tapping into a growing uneasiness about concentration of power in the supermarket sector"
See ever-expanding list of partners and supporters below . .
How will OFN help fix the food system? about how we can work together to take back control of our food. The Open Food Network is our response. 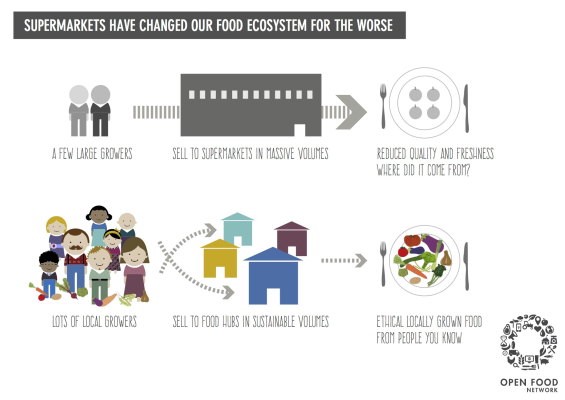 By turning the existing food system on its head, the Open Food Network provides efficient ways for buyers (hubs) to connect with many smaller sellers (producers) and distribute food into their communities. enough and take time away from the important work of growing our food. Farmers need scalable, sustainable systems for distributing their food. with, when, how often and under what terms. It's time to reconnect with our food! 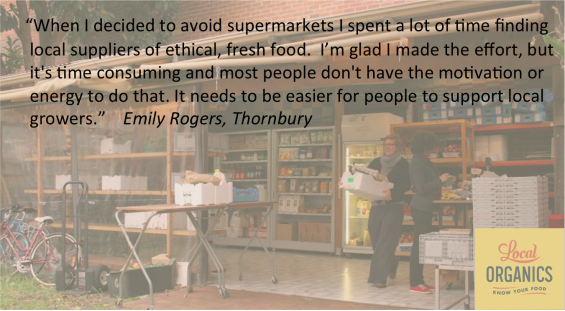 We're ready to abandon the supermarkets and get good, honest produce from people we know. But sometimes it’s hard work to shop and eat locally. OFN makes it easy to access locally grown food direct from the grower or transparently through hubs. Just go online, find what's near you and shop . . It's like an online shopping centre, full of local food! in between) can make this possible. while keeping the farmers and prices transparent all the way through. We believe in open and transparent processes and working for the common good. and see how we’re spending your money. You can keep an eye on us throughout the development process and see what we're up to every step of the way. This lets us work with lots of other people who have similar values and ideas about how to change the food system! // Break up with your supermarket // We'll send you an eco and practical Open Food Network shopping bag with a unique and cheeky design - pick up your food at your closest hub! // We're seeding something special here right? // We'll send you this beautiful "You have so much potential" seed poster (Special thanks to Greenhorns USA). 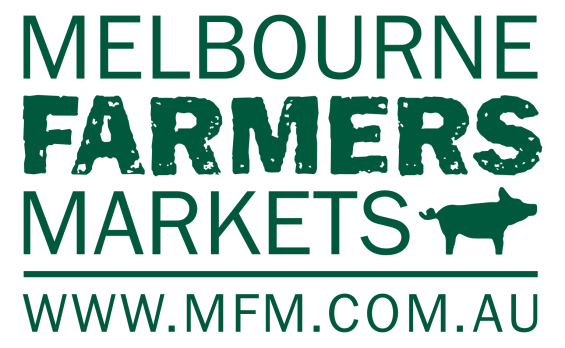 For melb based supporters, a scrumptuous Local Organics Seasonal Mixed Box (value $35). 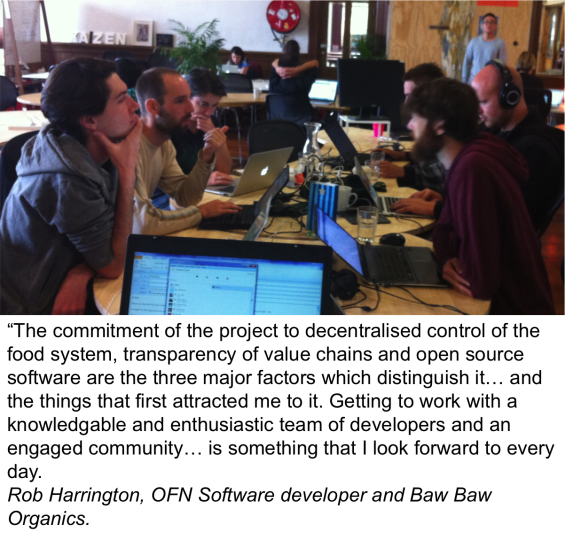 Everyone who contributes at least $50 will be invited to our Aussie Open Beta Launch Party. 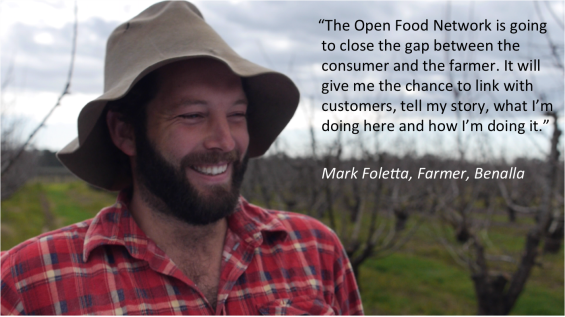 If you’re a producer, or an enterprise that helps get great food from farmers to eaters anywhere in the world, you'll get an Open Food Network profile linked from the OFN map (on openfoodnetwork.org.au and/or openfoodnetwork.org). Take advantage of this exclusive exposure from Sept as we ramp up (profiles will be free to others from March 2015). Receive an Open Food Network calendar featuring awesome hub models from our friends across the world. Everyone who contributes at least $50 will be invited to our Aussie Open Beta Launch Party. (Australia only) Receive an exclusive pass to #openfarmday. Farmer friends of OFN will open their gates and arms to visitors on 12 October (participating regions outside Victoria will be announced in campaign updates as we go). Take your family or a friend on a Sunday adventure along a transparent supply chain. If you’re an enterprise or individual interested in what gets developed next, $100 will get you the opportunity to participate in a collaborative design process through a series of 3 online webinars and through the open food commons wiki and idea voting tool. Take advantage of this exclusive opportunity! Full monty! 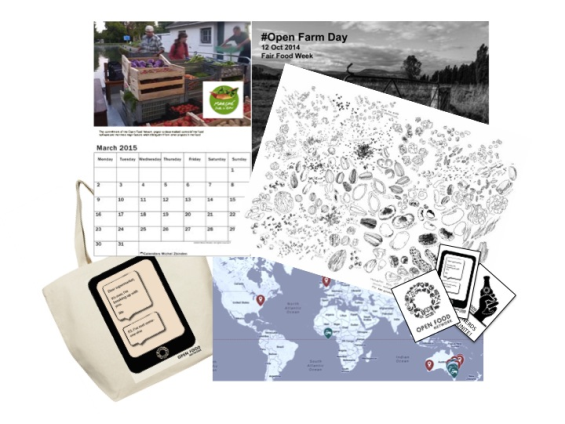 #openfarmday pass, calendar, bag, sticker pack. You’ll also be invited as a VIP guest to our Aussie Open Beta Launch Party where you will be personally and formally thanked. If you're an Australian producer, requiring only a basic store (your products only), get on board to sell products from September. Get exposure for your business as we ramp up. 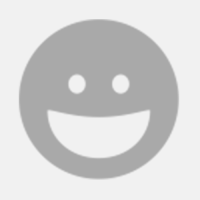 Free to use til March, after which it will only be a 'pay what you feel' model. Buying Groups and Coops Workshop - day of knowledge sharing and OFN training (Melb - Sydney and elsewhere if demand), up to 5 people per group, includes online profile - be ready for action when we launch! Sponsor a school hub set up. OFN has been working with local governments in some of Australia's most disadvantaged areas where access to fresh food is a problem for many families. $500 will see a hub set up (free in perpetuity) for a school community in one of these areas - to enable families to buy as a group and get access to wholesale or below prices. As a sponsor you will receive a thank you letter and photo of first pick up. Our profoundest gratitude! Values aligned individuals and organisations who contribute $1000 or more will be formally and prominently recognised on our website when we launch. And your choice of one of the above rewards! (Australia only) #theopenroad pack PLUS analysis of your detailed requirements and input to feature prioritisation. (Australia only) OFN Group page set-up plus workshop on marketing through the OFN and hub set up. OFN profiles for workshop participants included. This offer is designed for local government, industry/accreditation groups or regional networks and provides opportunities for brand development and diversification of market opportunities for stakeholders. Any/all of the above rewards. We'll love you forever. And hug you a lot.